I’ve been shopping at Zara for almost two decades, it does not matter what country I am living in, I always walk in to check out their latest lookbook. One reason I miss living in Barcelona, Spain is because there you can find one on every single block!!! On today’s post I am sharing two pieces from Zara’s newest lookbook: this adorable Faux Leather Strappy Top, and my High Waist Trousers – I love how this outfit turned out – easily one of my favorites! Because the peplum top fits like a crop-top, I felt it would be ideal to pair it with high waist pants. I would suggest to also style the pants with a silky black blouse, or a sheer long-sleeves black or white blouse – it will look amazing! And if you are into bright colors, you can match the pants to a fuchsia or yellow top. What do you think?? Hope you start a great new week tomorrow! I adore ZARA since forever and this look is amazing! 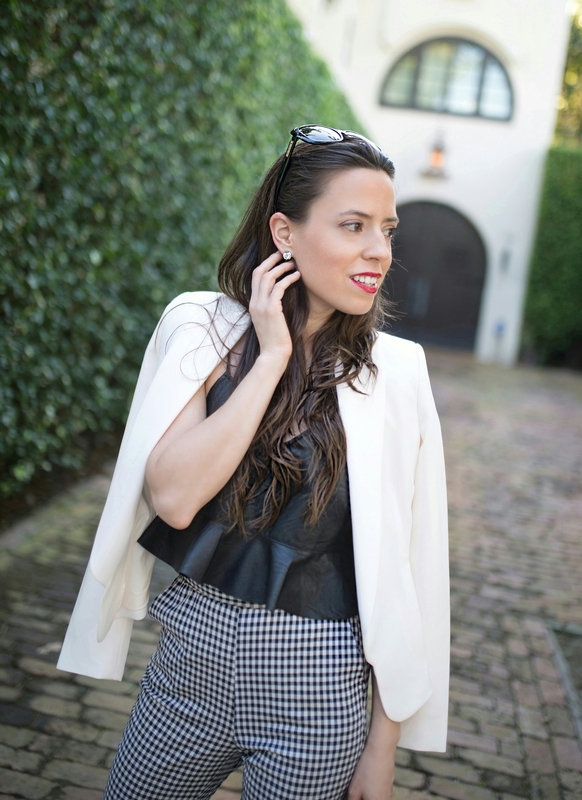 The pants fit you like a dream and I love the combination with the leather ruffle top! 10 points babe! I love this look, Specially the pants and the shoes! Love those trousers. I would wear them for work! so love this look on you dear! this strappy top suits you so well. This is such a stunning outfit. Very smart and very chic!! Love it!